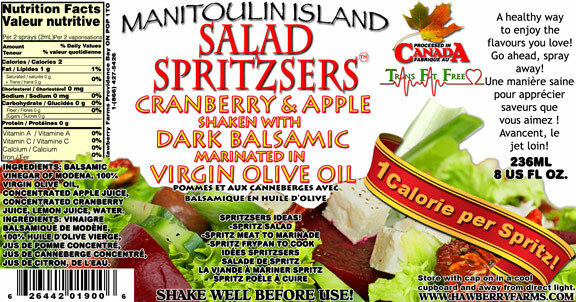 Click the button below to add the Cranberry and Apple Vinaigrette to your wish list. Great taste. Easy to use. Ordered online. Leaked in mail but dealt with by Hawberry. I ordered this salad spritzer by mail, as the local store had sold out. The delivery service was fantastic...I knew when it was mailed, when it would arrive, and was sent a follow-up letter. The service was topped only by the product itself. My friends to whom I gave this as a present were equally impressed. It is tasty, easy to use, and perfect as a light topping for this time of year!